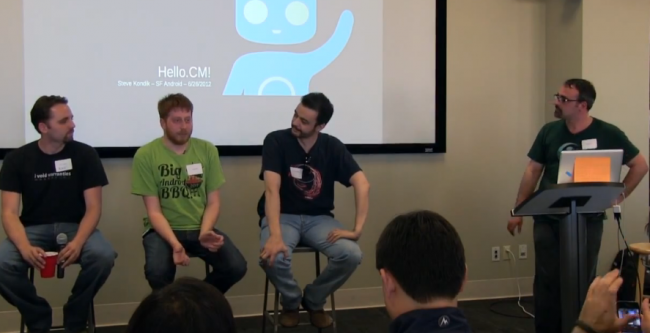 If you’re a fan of Steve Kondik’s work or that of the entire CyanogenMod Team, then you will love this sixty minute long video of their Meetup at Yelp HQ that took place during this year’s Google I/O. During the discussions, they talk about what makes CM, where the project plans to go, and many other awesome Android goodies including bootloaders. If you’re into the underground Android scene, definitely check this out.